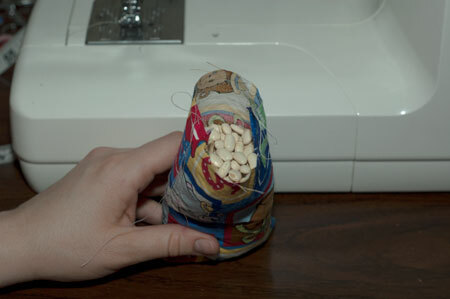 How to sew a beanbag. 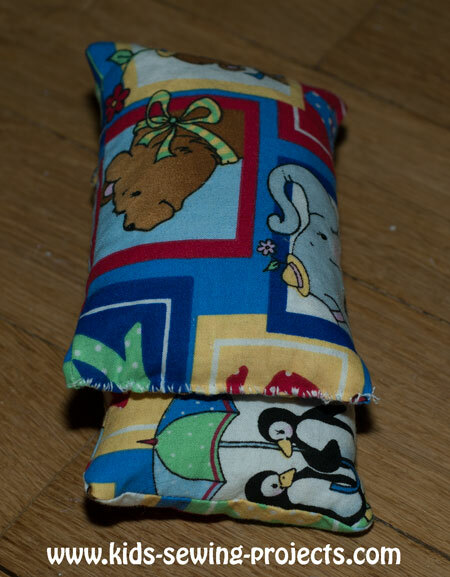 A great kid's first sewing project can be to sew a beanbag. Use your beanbags for a game of toss or a pillow for a Barbie. There are countless ways you can play with them. Place your two pieces of 4x6 inch fabric with right sides together. Sew one side to the end, take it off the machine and sew the next side. Don't forget to do your backward stitch after the first few stitches and at the end. (We will learn how to do corners in the next level.) Leave one side open. Stuff the material with beans or rice. Sew the end closed using hand sewing. 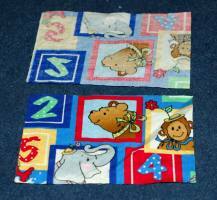 For a smaller size bean bag, cut out squares 4x4 inches. Then follow the directions above. 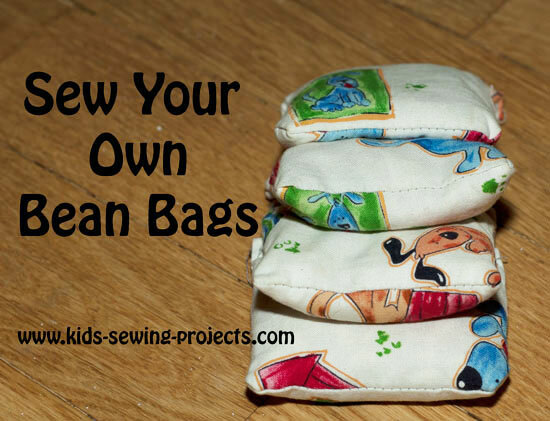 Back to Level -2 Sewing Lessons from Sew a Beanbag.